Define Beauty in New PSA Challenge! Far too often, we consider beauty a matter of appearance. But what’s important to remember is that beauty is more than skin deep. It encompasses all of the wonderful traits that make us unique—and beautiful—in our own ways. So we’re wondering: how do you define beauty? Are you beautiful for your desire to help those in need? Because the bands on your braces are cool colors? Because your red hair shines flame-bright in the sun? Whether because of a unique birthmark or an unbridled excitement to try new things, we’re all beautiful in our own ways. So celebrate it! And be free to be you. 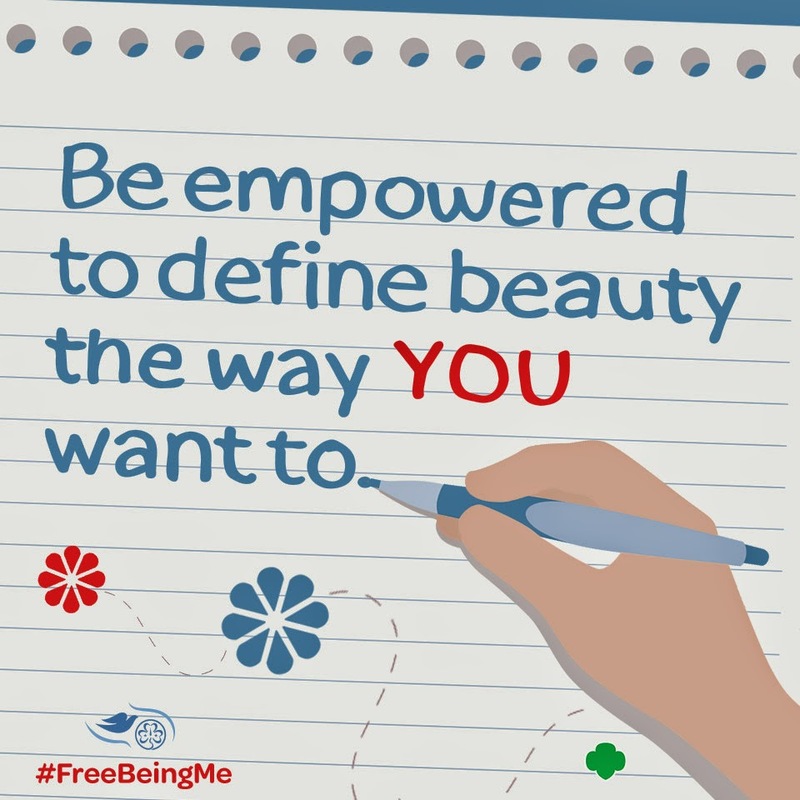 As part of our Free Being MePSA contest, we want you to tell the world why it’s important to love yourself, including your physical appearance and the things that make you stand out as a person. We invite you, alone or with a group of up to five girls, to create a short video PSA highlighting the above as well as urging others to celebrate what makes them unique—and beautiful! · Different people—depending on where in the world they live, for one—find different things beautiful. What are some things you find beautiful no matter where you travel? · What might make every girl everywhere feel free to be herself? · What do you think the world would be like if every girl felt her accomplishments mattered more than how she looks? We hope you’ll give your PSA submission your all! Don’t forget to encourage your friends to vote for your video on our Facebook page; the lucky winner(s) will receive an iPad Air! Girl Scouts Speak Out will accept submissions from April 28, 12:00 a.m. ET, to August 31, 11:59 p.m. ET.